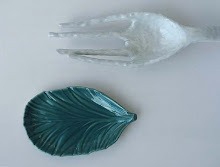 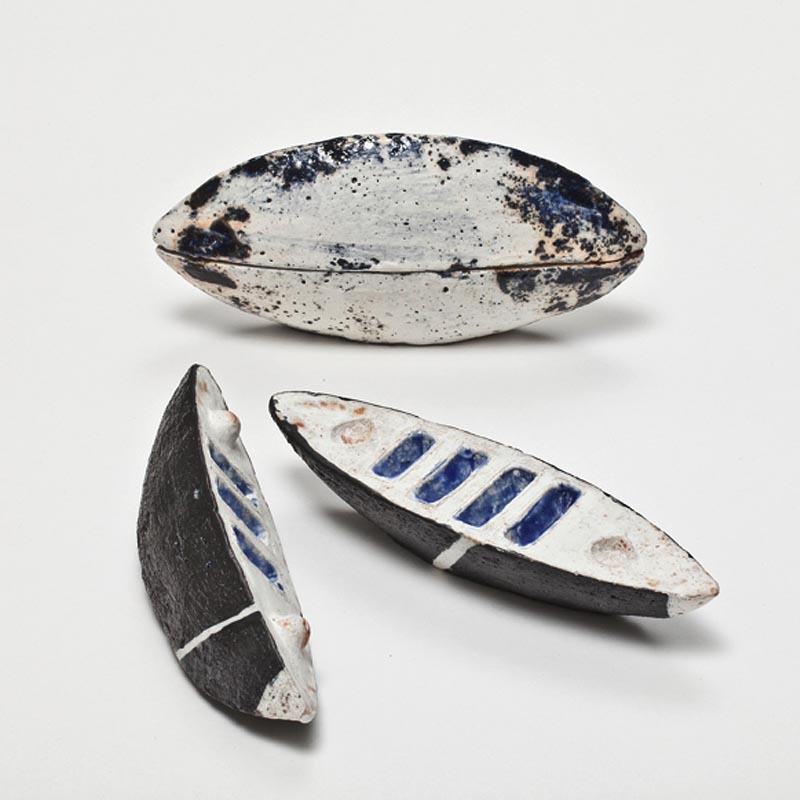 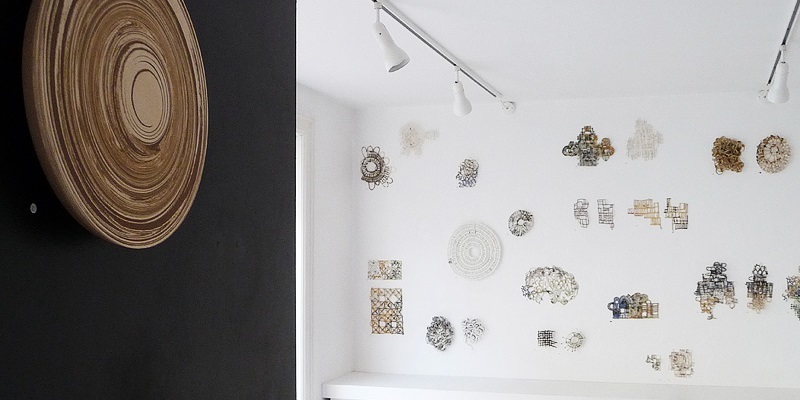 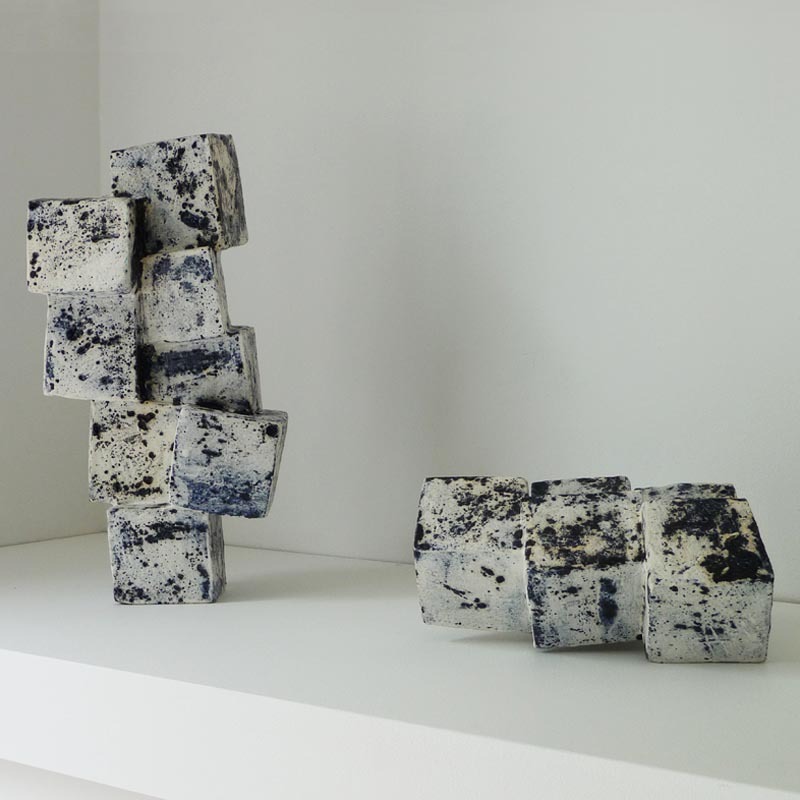 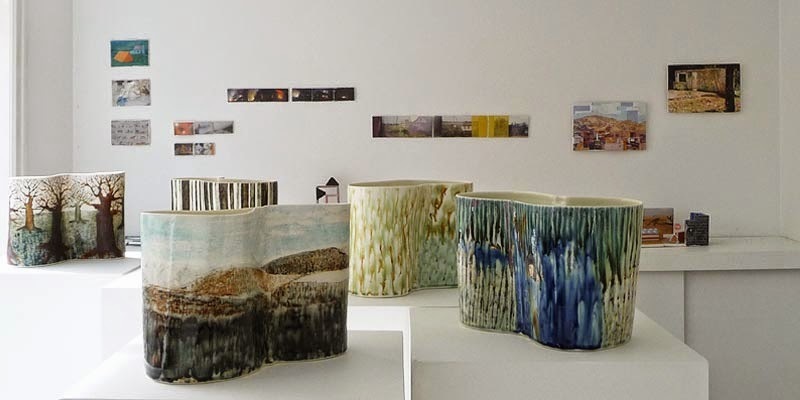 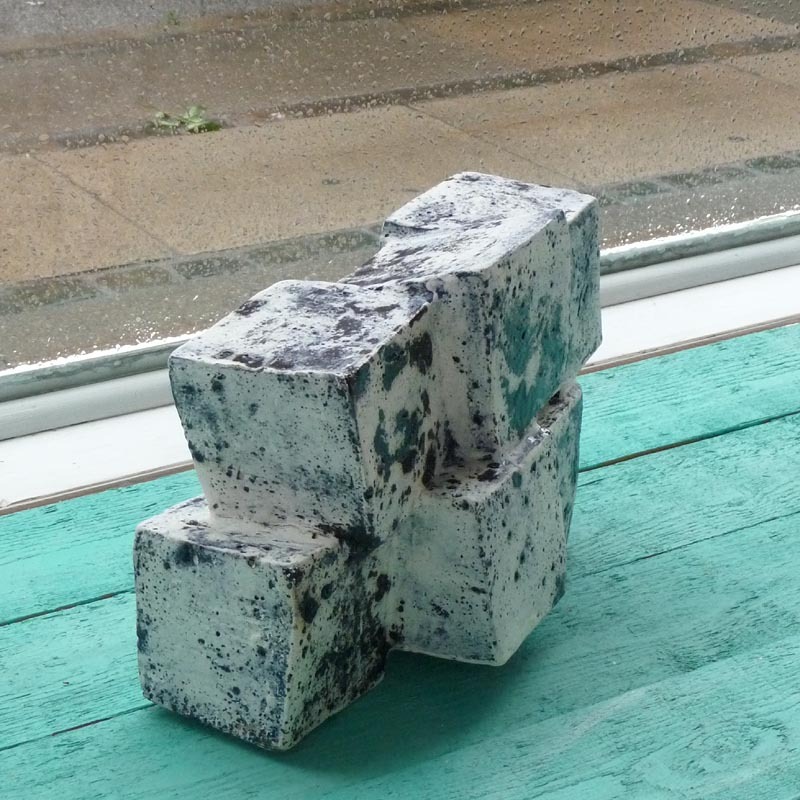 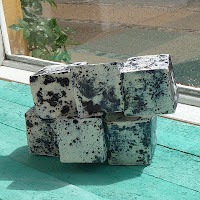 From Coast to Coast.. Ceramics inspired by the sea and harbour architecture. 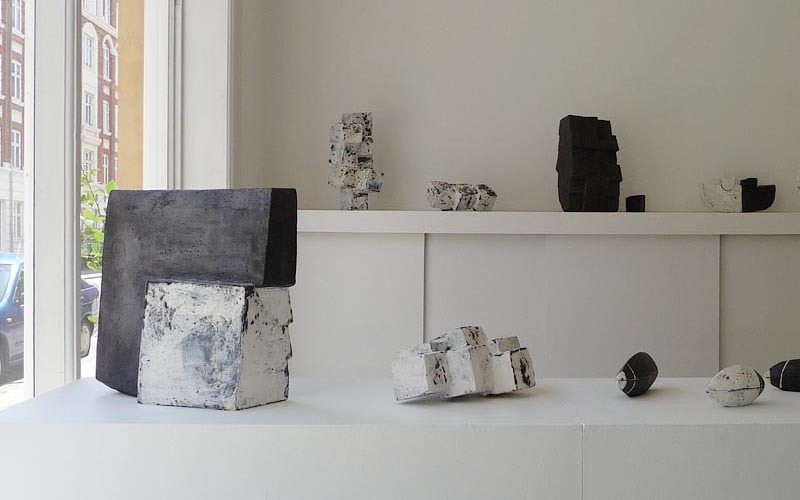 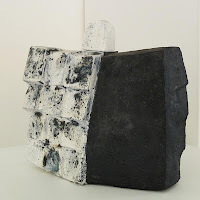 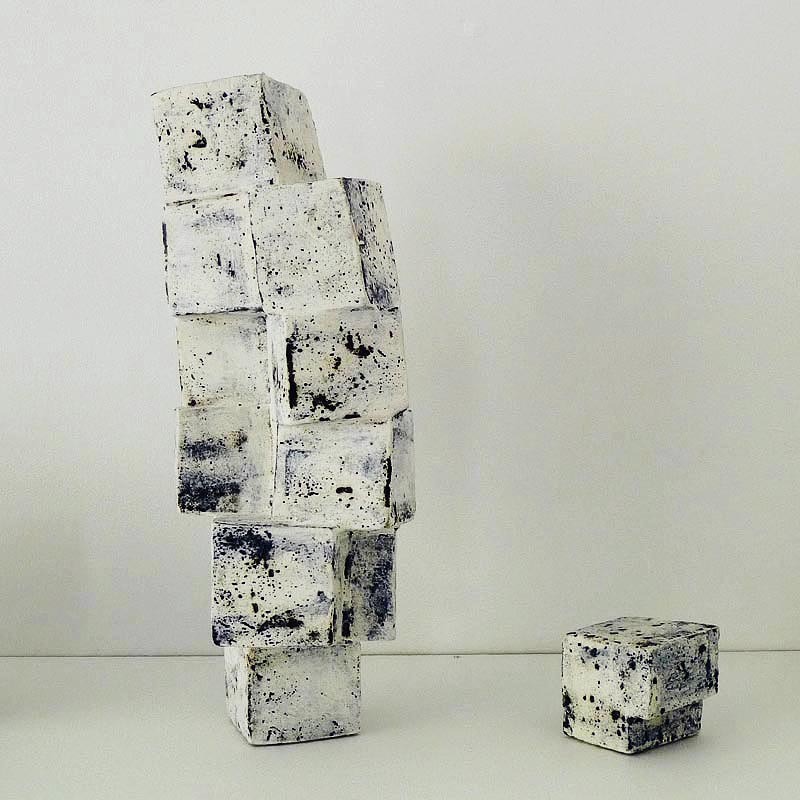 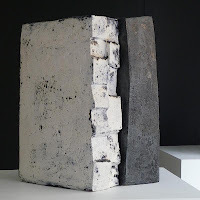 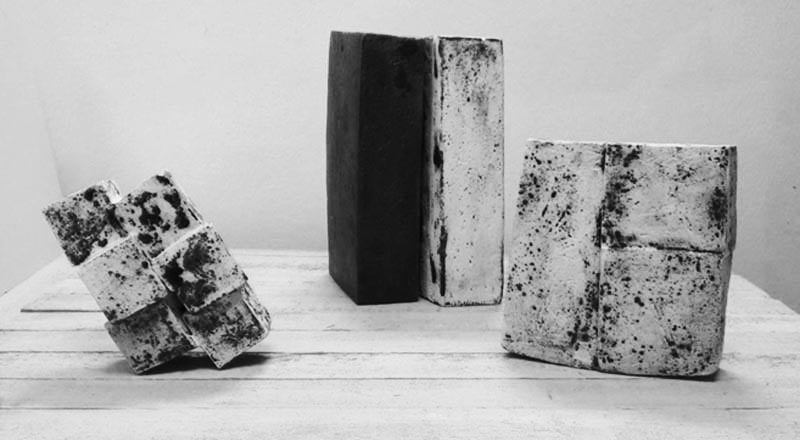 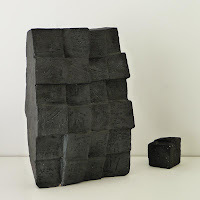 Currently, Gunhild's work is particularly inspired by the harbour's industrial buildings, the often brutal and fascinating rough architectural bodies. 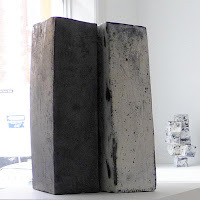 They are strong architectural pieces, which intimate proximity and personal history affect both the viewer and the space around them. 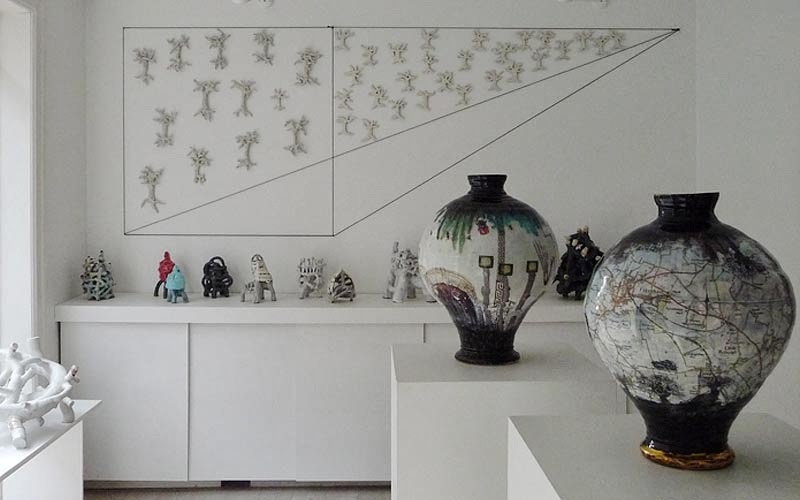 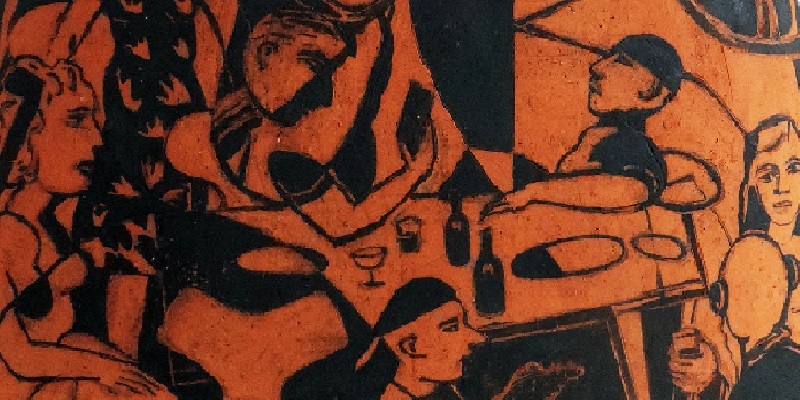 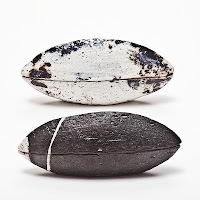 The ceramic pieces are hand-modelled and treated with impressing and incising tools. Hereafter the surface is painted with clay of different structural and tactile character. 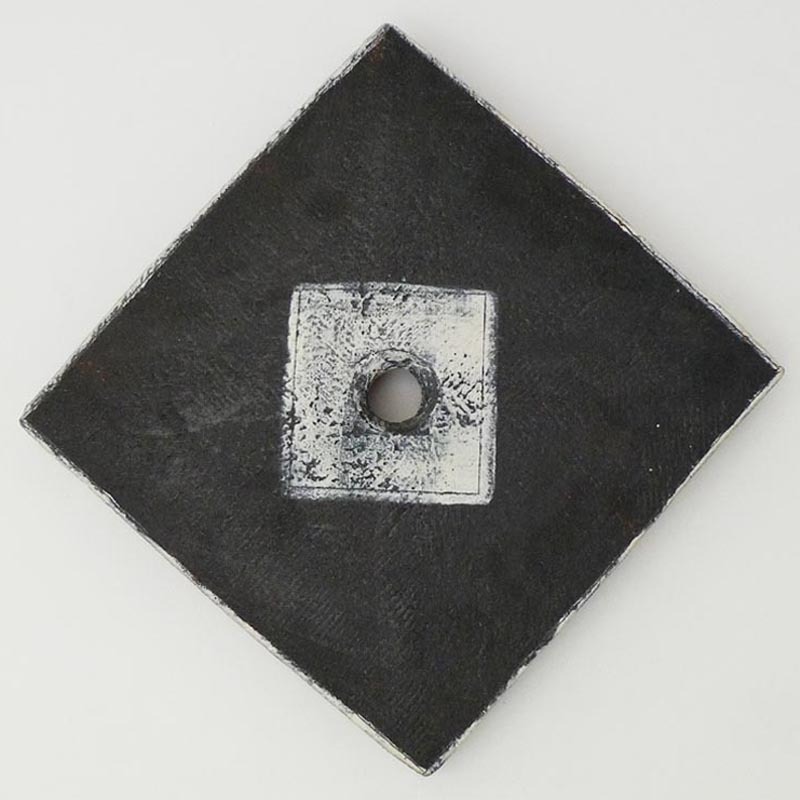 Finally comes the influence of reduction firing in a gas-kiln. 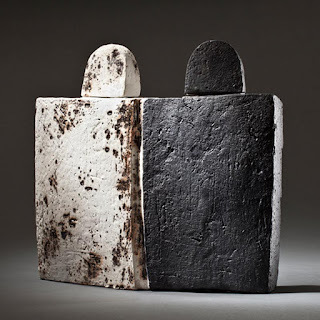 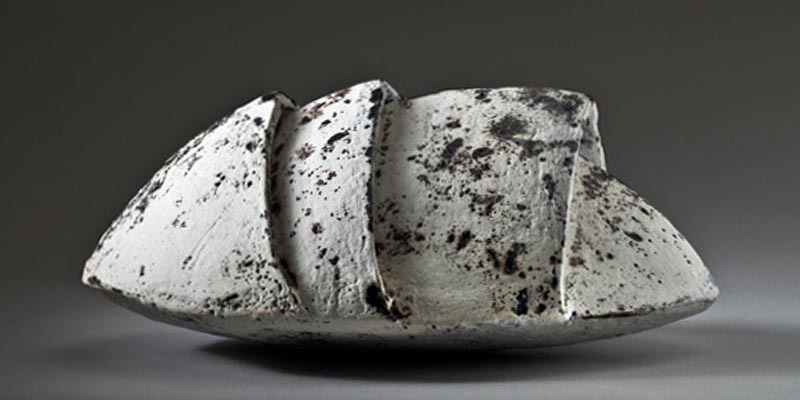 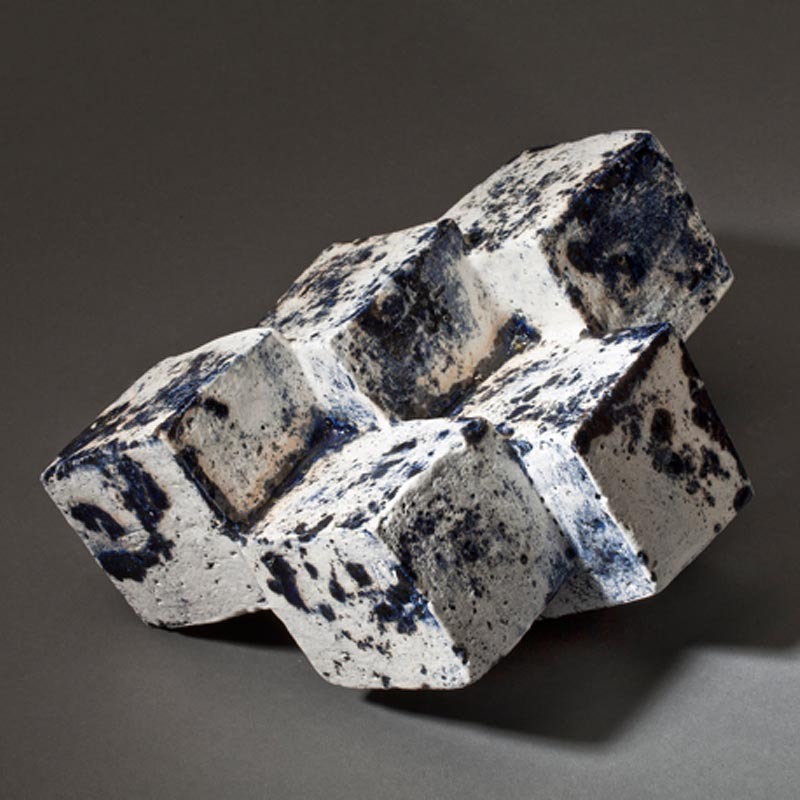 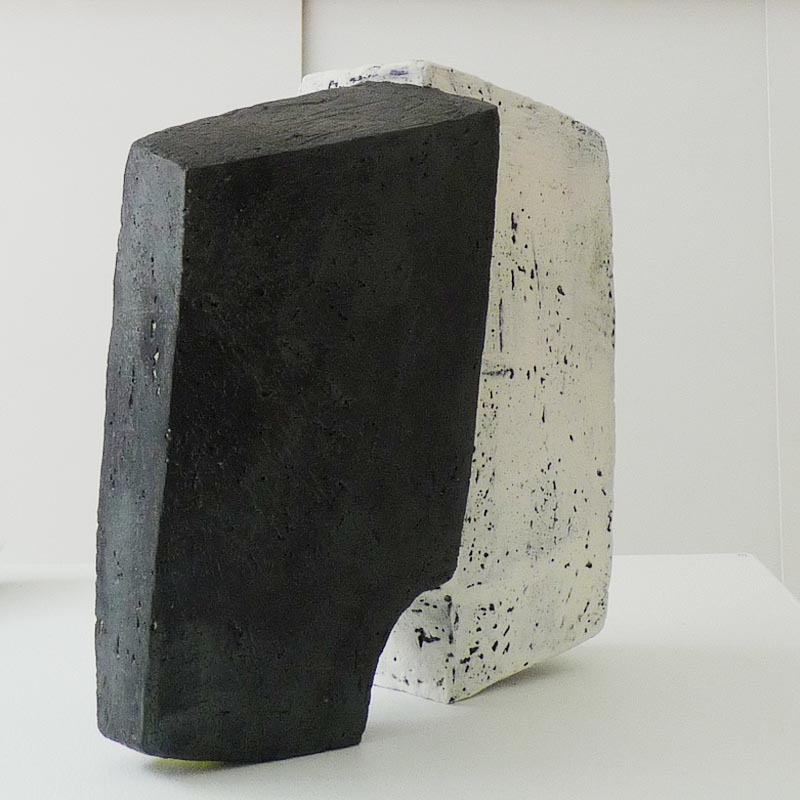 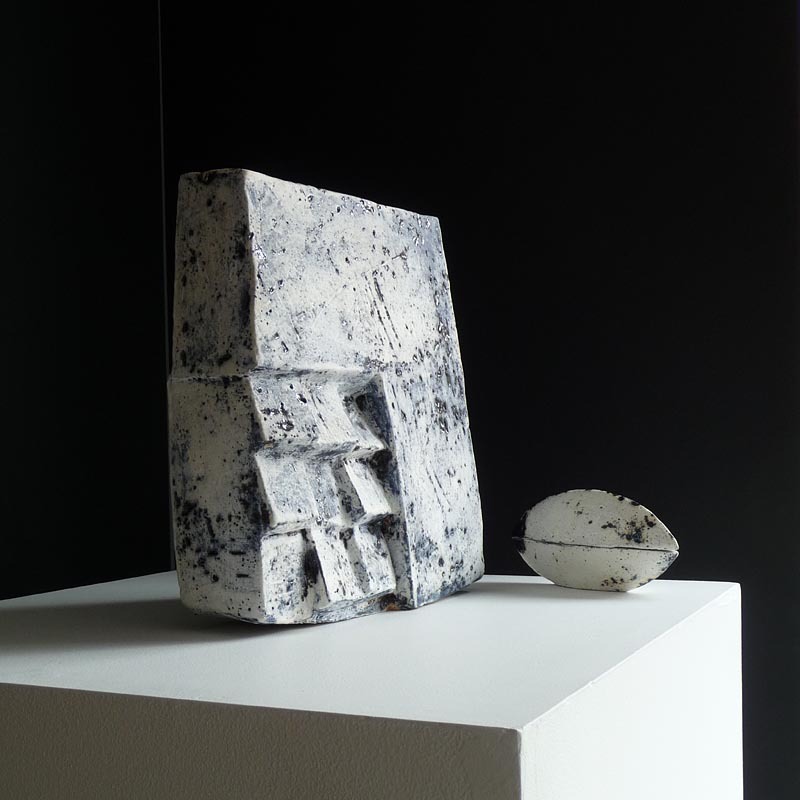 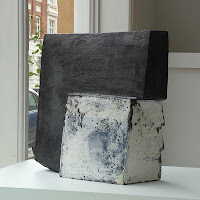 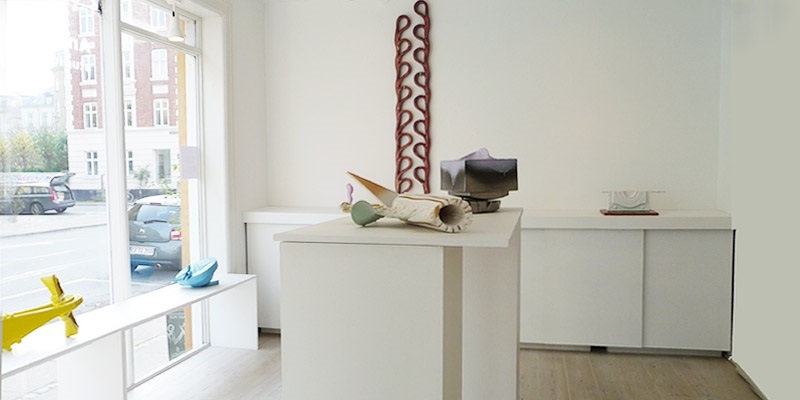 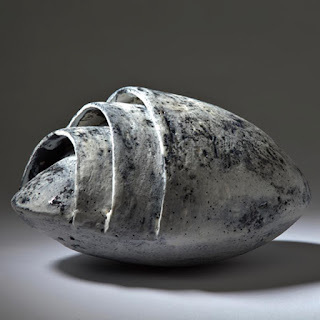 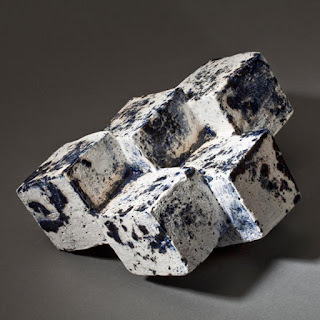 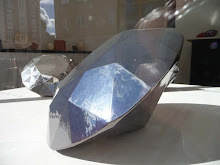 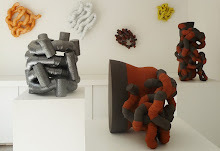 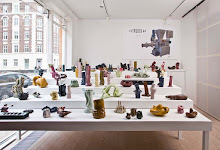 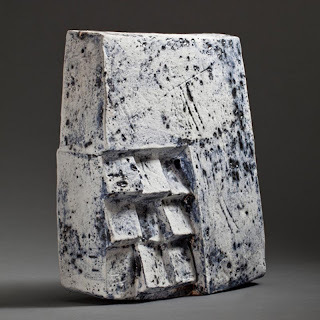 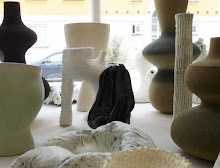 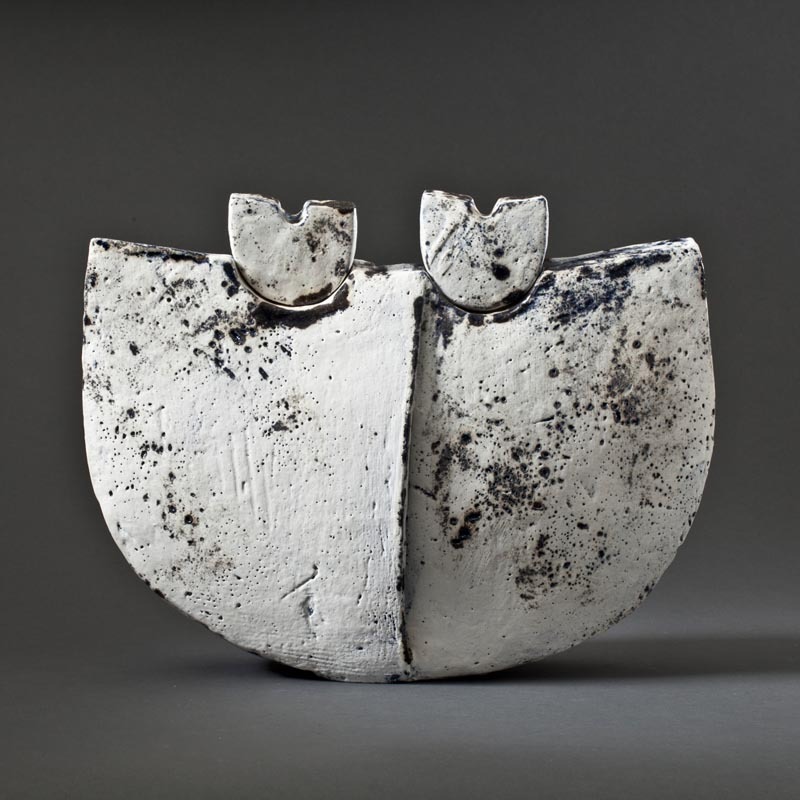 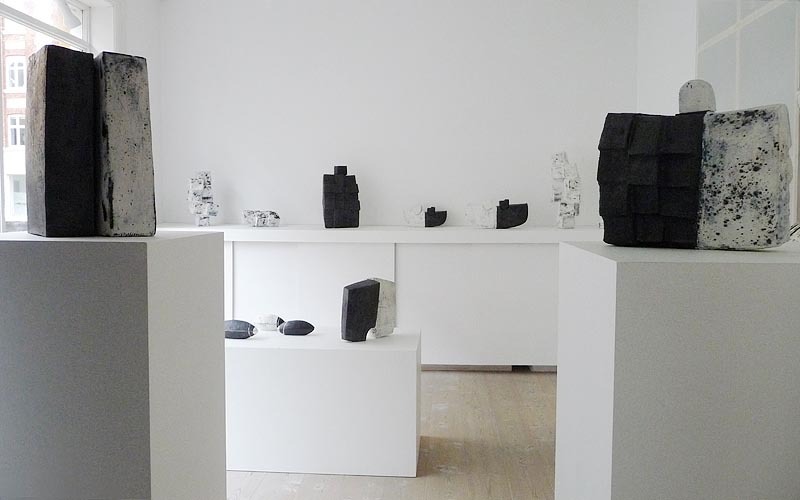 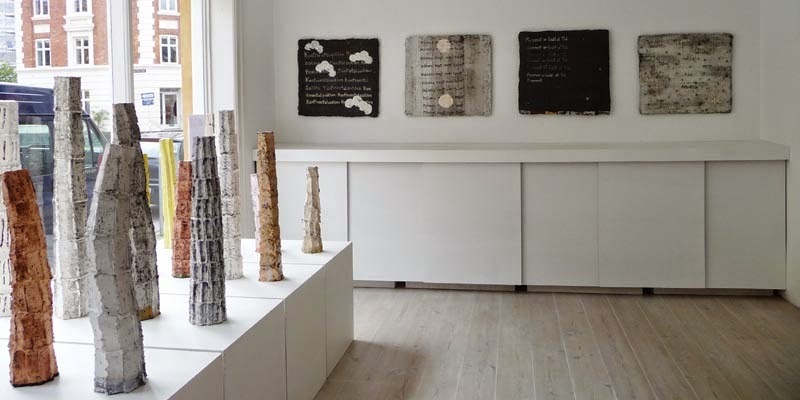 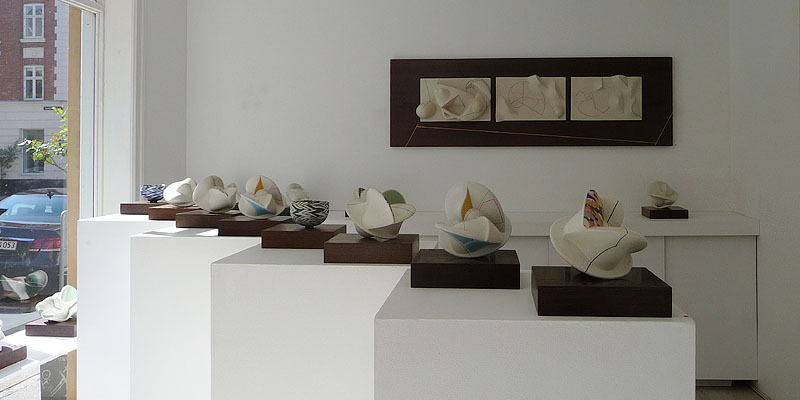 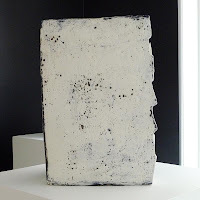 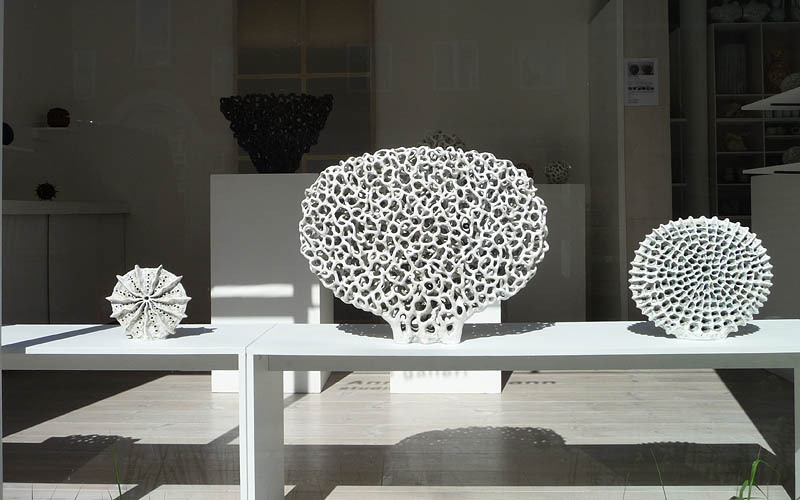 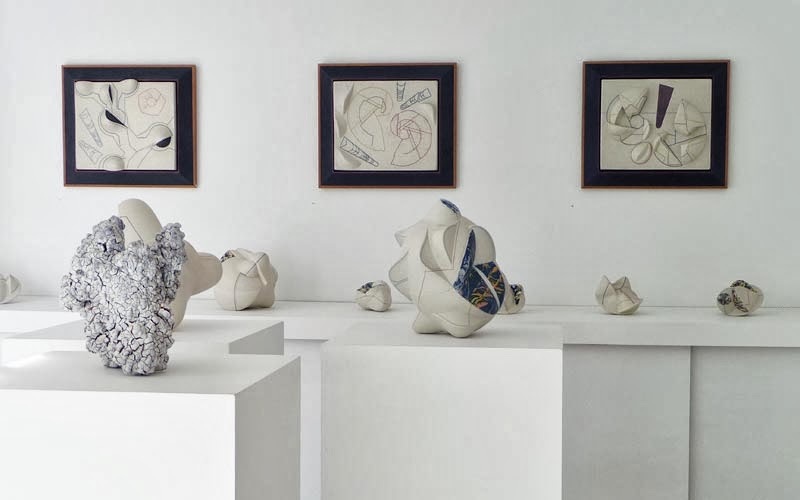 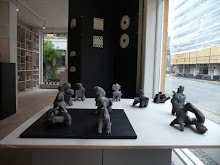 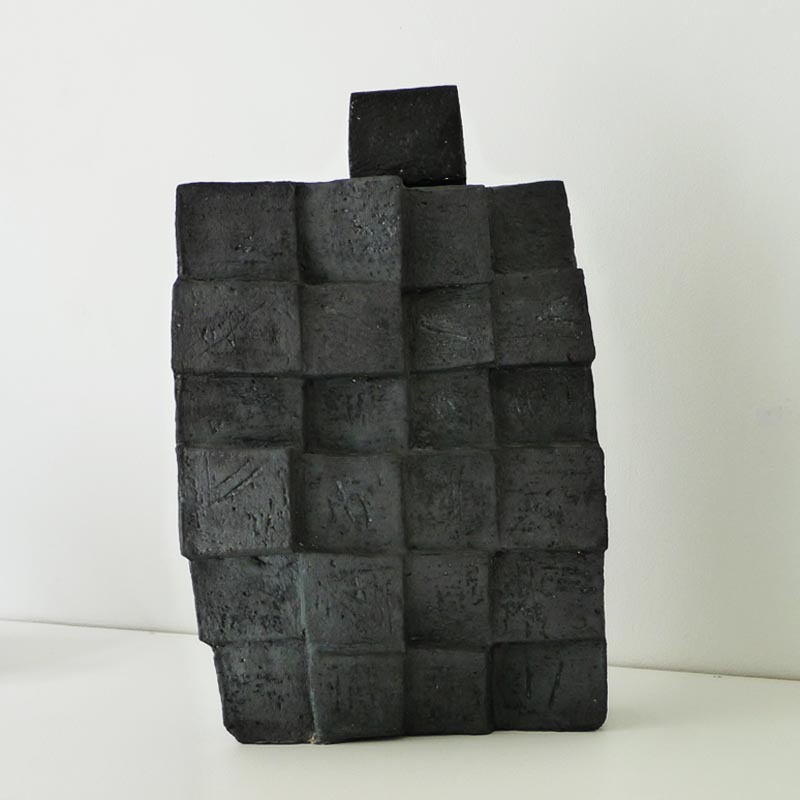 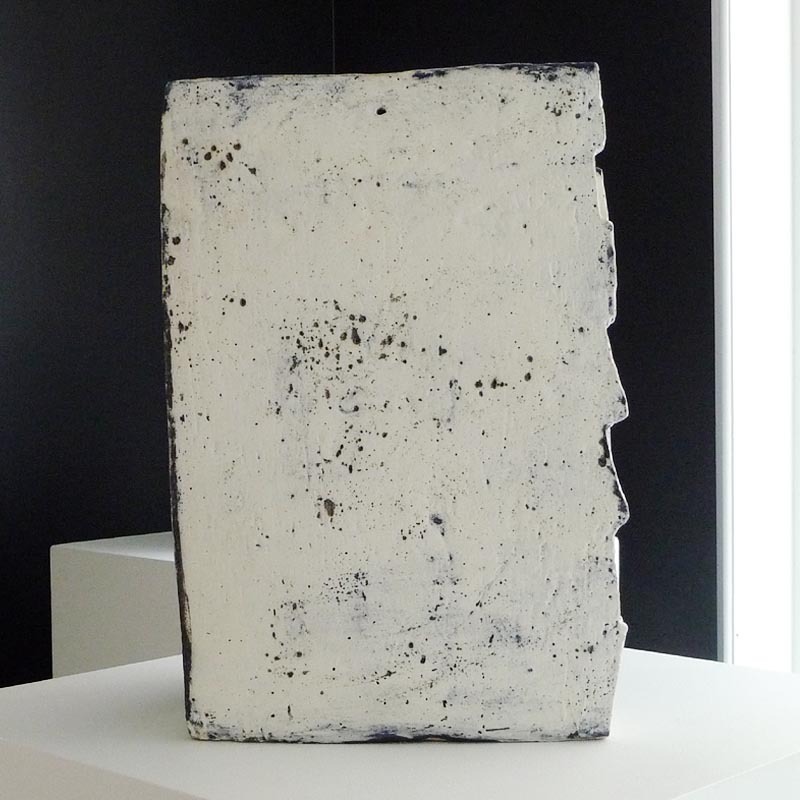 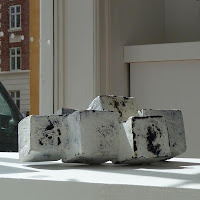 Gunhild Aaberg is one of Denmark's renowned ceramic artists with exhibitions in Denmark and Internationally. 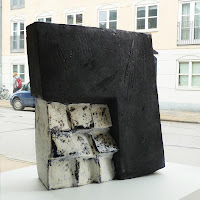 She graduated in 1964 from the Danish Academy Design School /School of Applied Arts in Copenhagen. 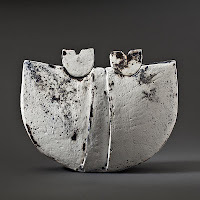 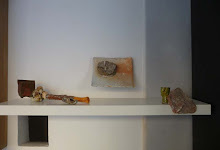 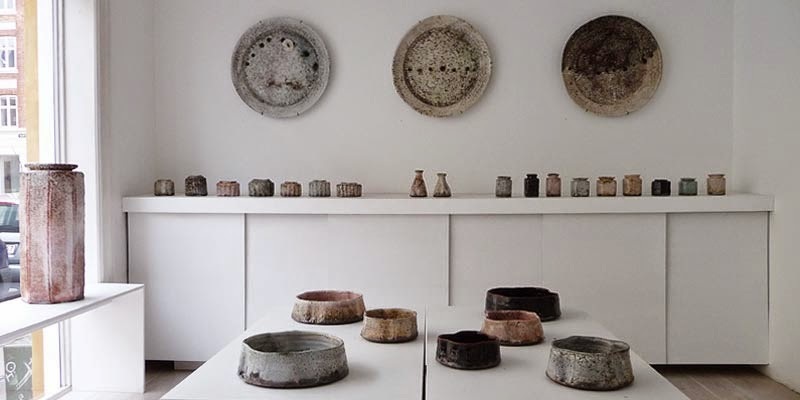 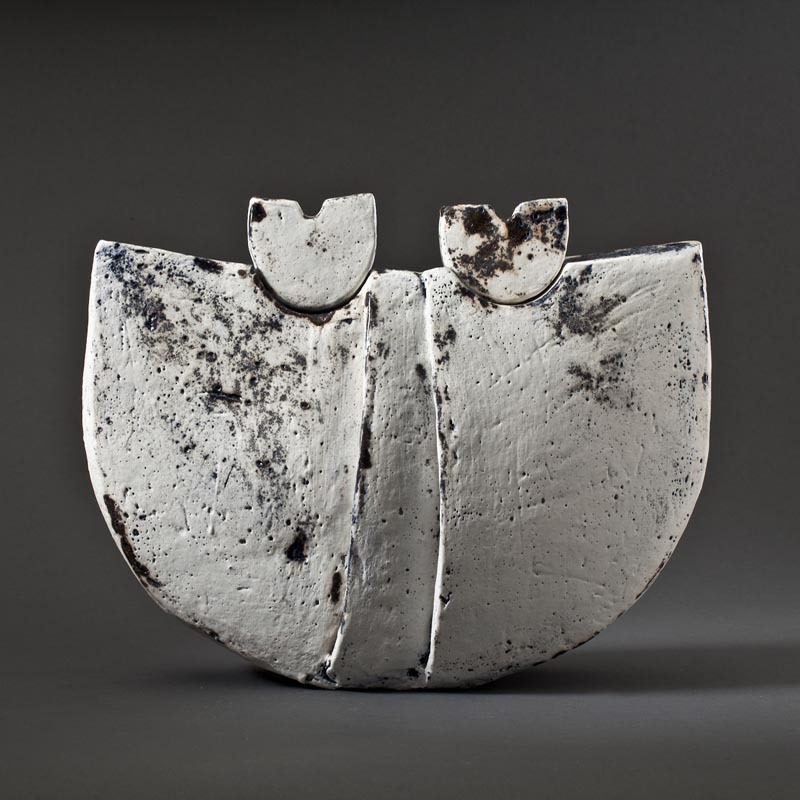 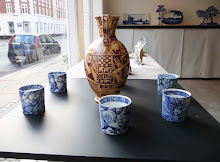 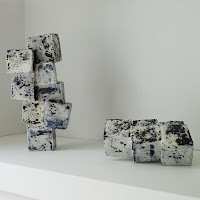 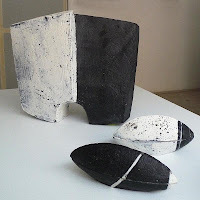 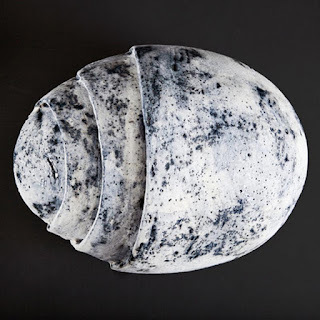 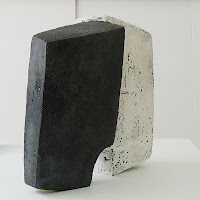 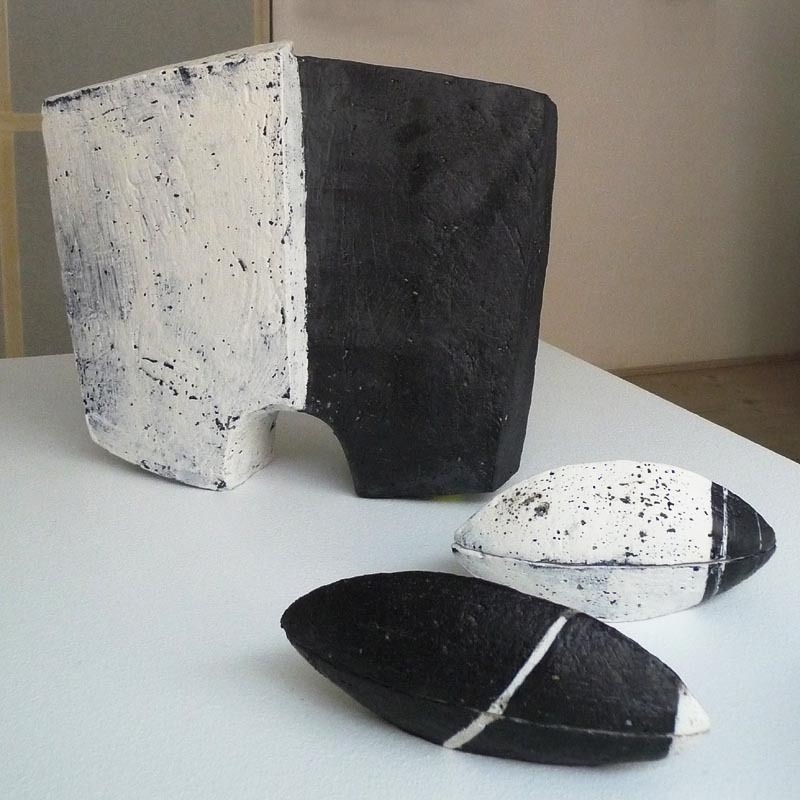 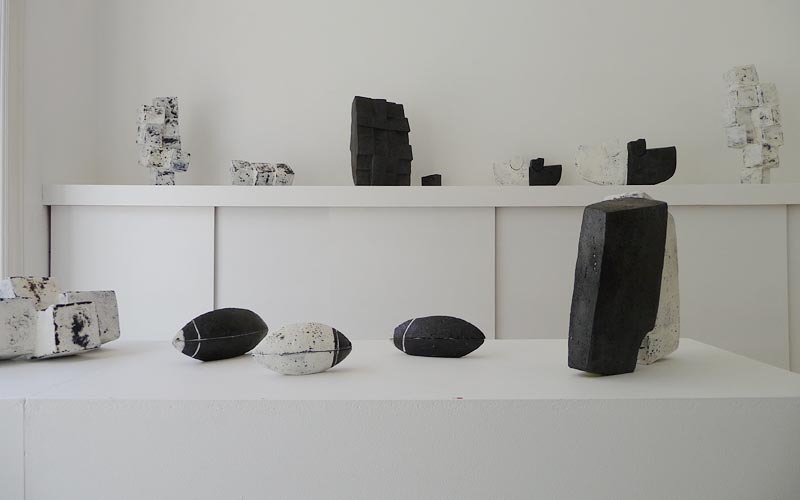 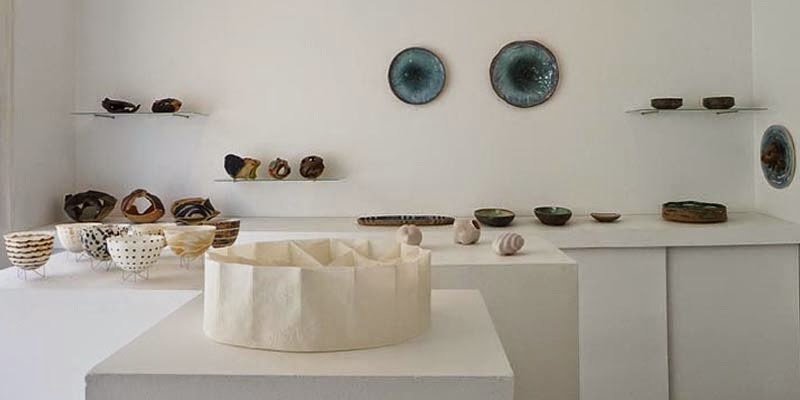 The same year she founded together with Jane Reumert and Beate Andersen the Strandstraede Ceramics, where she continuously makes her ceramic works and commission projects. 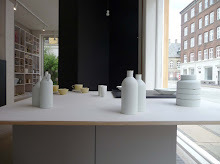 Gunhild has worked as designer for Danish Design Ltd. and freelance for the Royal Danish Porcelain Factory. 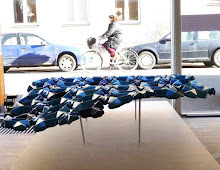 She has been an external examiner at the Danish Design School in Copenhagen and Kolding School of Design, as well as visiting lecturer at the Danish Design School and the Royal Danish Academy of Art. 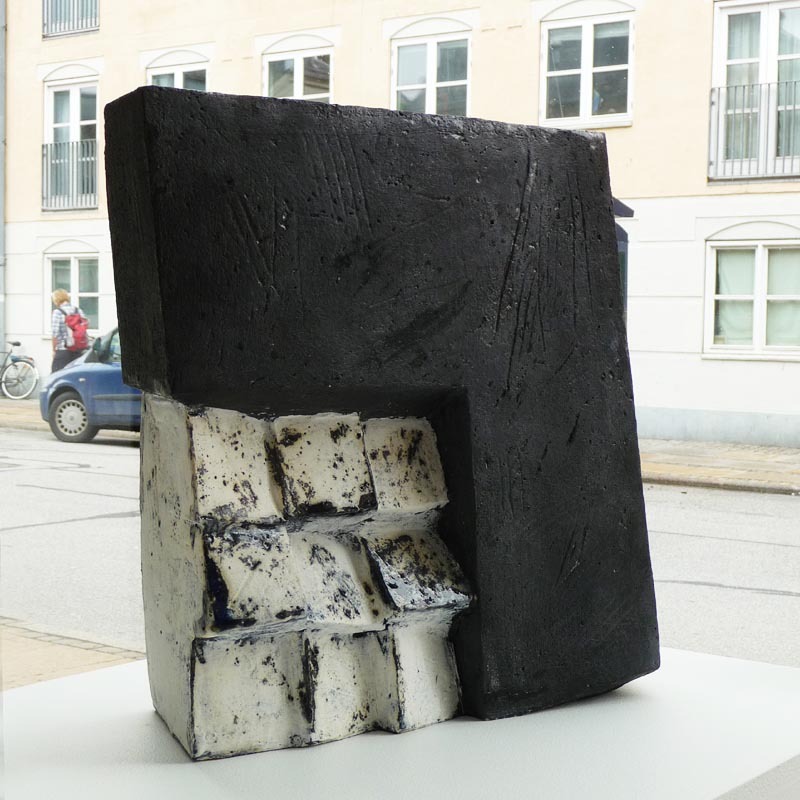 Gunhild Aaberg has received several grants and awards including The Danish Arts Foundation's 3-Year Scholarship and Lifelong Artist Award. 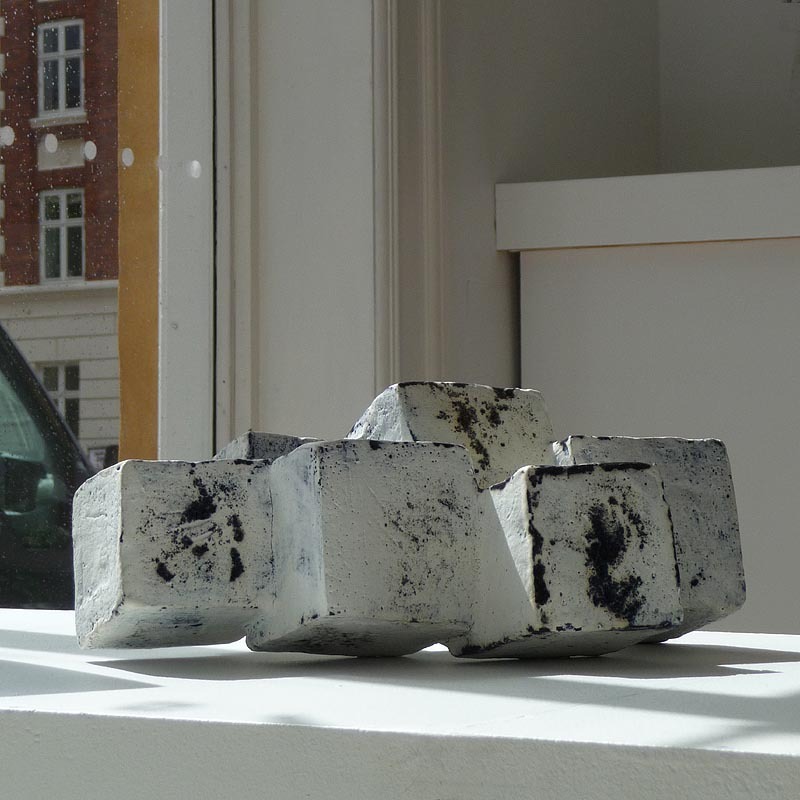 Gunhild Aaberg: “I was born and raised on a harbour into an old seafaring family. 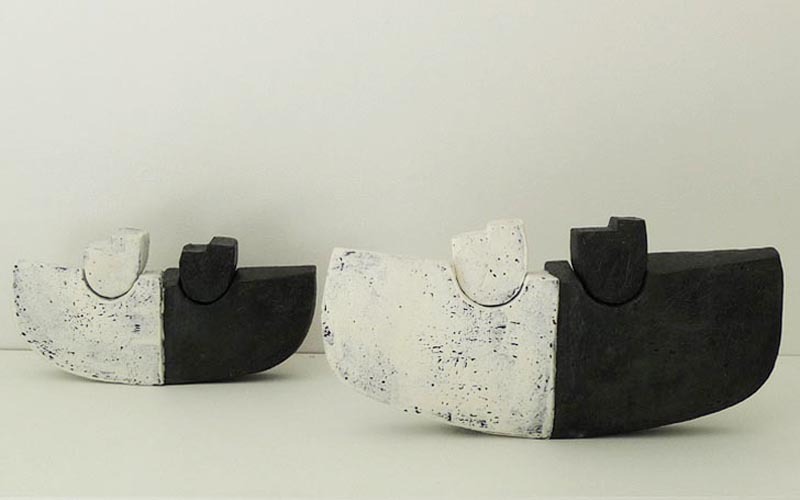 Sailing on my mother’s coaster, I have seen many different harbours in Europe. 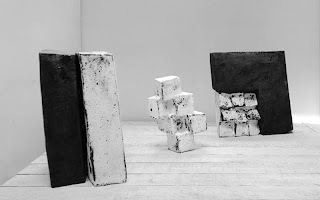 I have always been fascinated with harbours and the mysterious things one can find there; and by the harbours’ industrial buildings with their often brutal and fascinating architectural bodies. 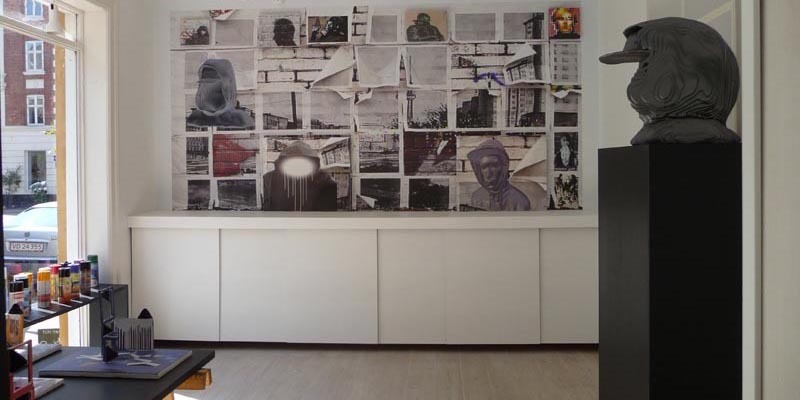 I have a fondness for the marginalised areas that have not yet fallen prey to gentrification. 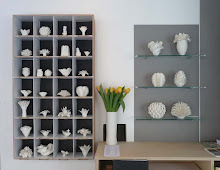 They serve as inspiration for my ceramic works. These are hand-worked and subsequently treated with impressing and incising tools. The pieces are then treated with slips of varying tactility.